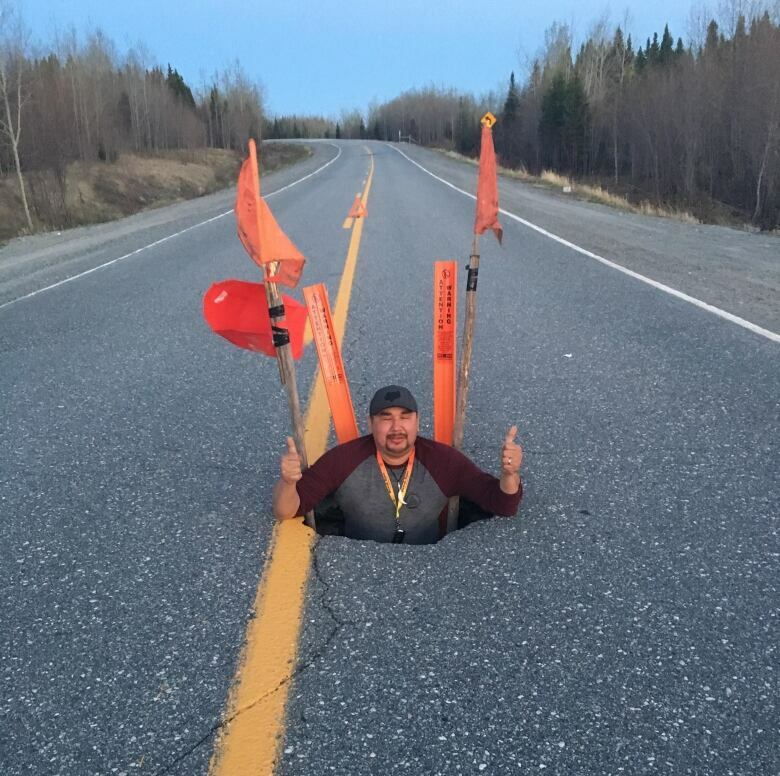 Manuan Lafond chases a lifelong dream with the release of a blues song about how bad the James Bay Highway is. For Manuan Lafond, singing the blues about the James Bay Highway in Quebec just feels right. The 36-year-old singer, whose mother was Cree and father is Quebecois, has released a new single and video entitled James Bay Highway Blues. The song was written in the middle of a 14-hour trip between Gatineau, where he lives, and Chisasibi, where he's from. "The song is dedicated to Chisasibi eeyouch [people]," said Lafond, who goes by the stage name Money-1. Like many Cree, he has driven the highway more times than he can count, and in all kinds of weather. "[The song] is dedicated to them and whoever else travels that bumpy road." Built in the 1970s to make way for hydro-electric development in northern Quebec, the James Bay Highway is 620 kilometres long and serves more than 11,000 people, including several Cree communities. The poor state of the road is the subject of much discussion on social media, where a Facebook page has been dedicated to road conditions and warnings about where the worst potholes are. Earlier this year, potholes on the road triggered an airbag and sent the vehicle's driver to hospital for X-rays. In another incident, a traveller stopped and stood inside a sinkhole he ran over with his vehicle. The song James Bay Highway Blues is written in Cree and English. The chorus translates to: "It's so horrible. It's so bad, this road." "I had to make this song so people could relate to it," said Lafond. 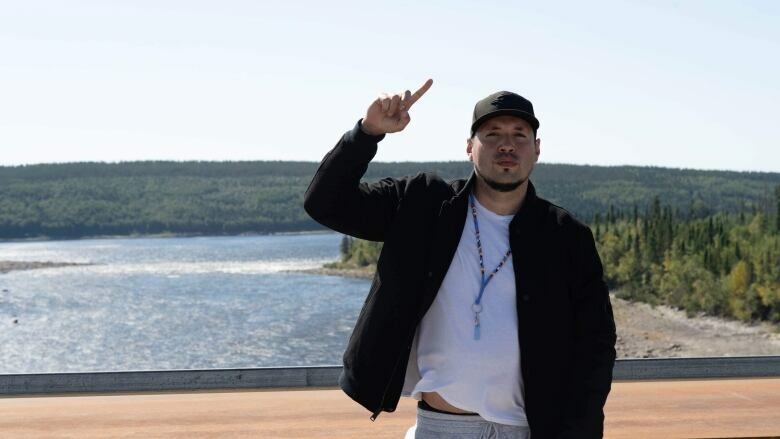 He said he enjoys mixing styles of music like blues and hip hop, and singing in Cree. "I know this is unique. I don't hear Cree songs every day," said Lafond, who added he is working on more serious subjects in his music. Lafond has been working on his music since he was 14 and started writing his own lyrics at 17. "They were awful," admits Lafond, adding that with encouragement from his cousin, he didn't give up. In 2016, in his early 30s and after years of doing other things, Lafond headed to Algonquin College in Ottawa to follow his dream of making music. He's studying music industry arts. "When I have the power to write Cree lyrics, to singing my heart out and my soul, and have people to hear it — it's a wonderful feeling." 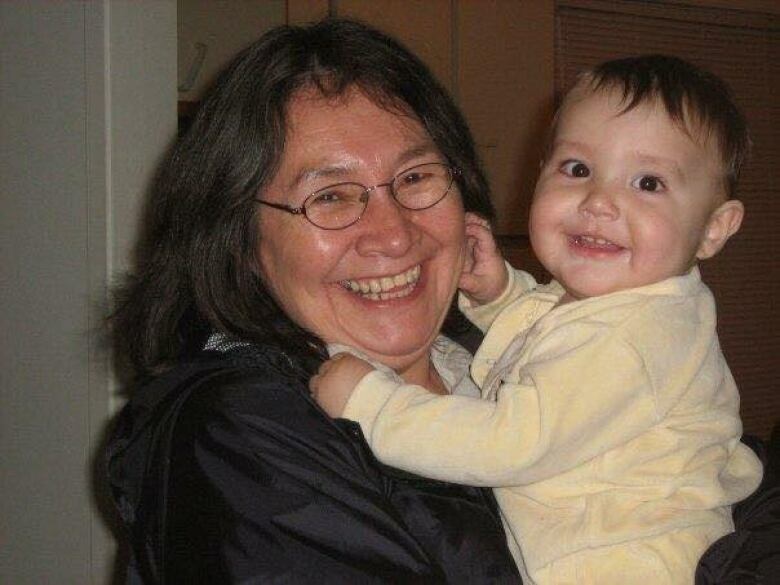 He made the trip on the James Bay Highway just days after losing his mother to cancer at the age of 56. "I was so devastated she wouldn't be able to visit me," said Lafond. "She [told me]: 'Don't worry, I'll be with you in spirit.'" He put together the video for James Bay Highway Blues with a small grant from the Cree Nation of Chisasibi. The song is available on iTunes. Lafond is currently working on an EP that he hopes to have finished by the end of the year.